Death Valley, its harsh and rugged landscape established a national monument in 1933 and named a national park in 1994, has long held a fascination for visitors, even before it became tourist friendly. Shortly after the first visit of nonnative inhabitants, a party of forty-niners looking for a shortcut to the goldfields of California crossed this land with tragic results, inadvertently giving the valley its moniker. Despite the immense suffering in their midst, prospectors began exploring the area looking for mineral wealth. Boomtowns formed, prospered, and died all within a few years, most disappearing completely into the desert. Adding to Death Valley's mystique was the shameless self-promotion of Death Valley Scotty, which lasted for a period spanning more than 50 years. 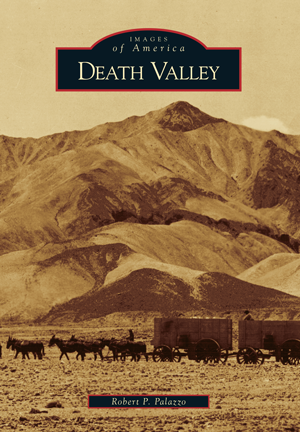 Robert P. Palazzo, Death Valley scholar and lifetime member of the area's natural history association, evokes here in vintage imagery a stark, barren, desolate wasteland that gradually became one of the West's most iconic destinations. Tapping his extensive private collection of rare photographs, Palazzo shows Death Valley's geological features, notable personalities, industries, mysteries, and tourism. Though the area has changed little over the last 150 years, the harsh conditions have erased much of the evidence of human occupation. That rare visual record is preserved in these pages.